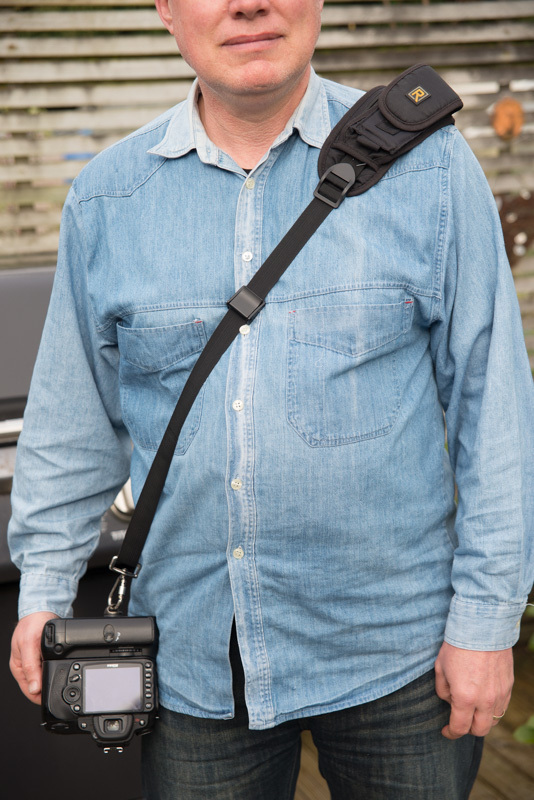 I have never been a fan of hanging a camera around my neck, and have always simply wrapped the strap around my wrist. As I moved up in gear the desire to use the neckstrap diminished further. If you look at the following table you can see how the weight of the gear I am using has increased dramatically. The first column is the weight in grams of my original digital camera and second is my current camera. As you will appreciate lugging a 2kg weight around your neck tends to get fairly uncomfortable. Some years ago I attended a workshop in Auckland and one of the tutors was using a Blackrapid strap. This goes over one shoulder with the camera hanging at the waist on the opposite side of the body. The camera is attached to the strap via a clip that screws into the tripod screw on the bottom of the camera. I thought that this was a great idea, however I considered that the price of the strap in NZ was too high. After showing it to my wife she said that she could make something similar which she did. We used the quick release plate from my monopod to attach the camera to the strap. This arrangement seemed to work for a while until I noticed that the hoop that I was using was starting to bend. Fortunately this coincided with receiving birthday vouchers and so I bought the Blackrapid strap. The strap worked very well while I was using the D90 but when I got the D600 I started to have a number of issues with it. The first was that the extra weight appeared to result in the length adjusters not working properly which was more of the an annoyance than an issue. A more serious issue was that while the camera was in a good place while you were standing upright, if you leaned over the camera swung round, and you had to have good reactions to catch it before it hit something. 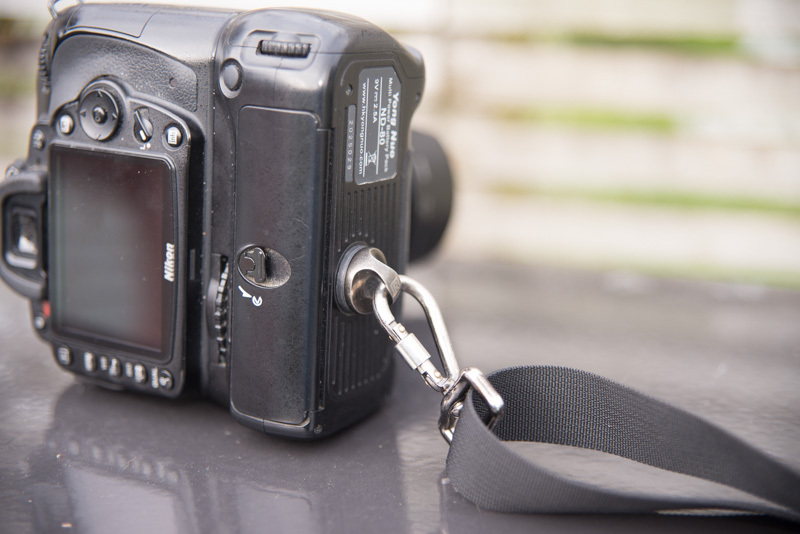 The second real drawback of the design is that if you were using the camera on a tripod then you could not have the strap and a quick release attached at the same time, as the camera only has one place to attach them. As a result of the two issues I was carrying the camera more than I wanted to. 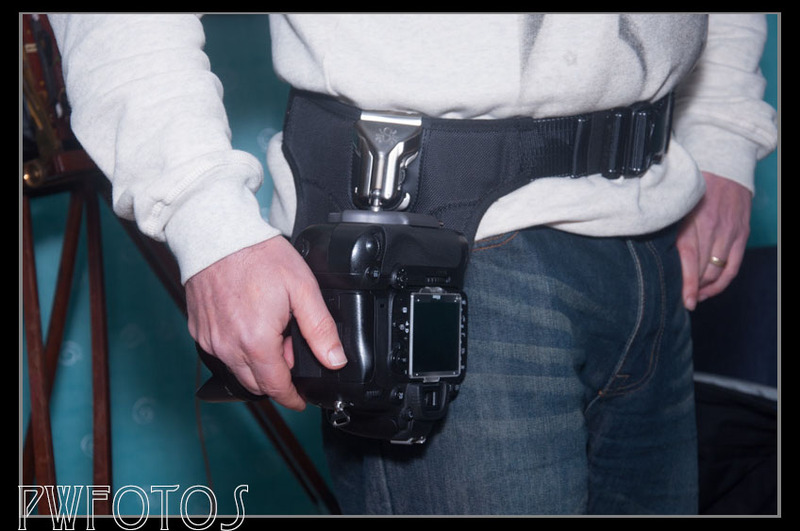 Then a couple of month ago I was watching a Lindsay Adler workshop on CreativeLive.com and she had her camera mounted at her hip using a device called a spider holster. I discovered that there were agents for it in New Zealand and that I could buy it from them at the same price as B&H would in New York without the additional freight charges. So while I was in Auckland visiting family we drove over to Photogear on the North Shore and they let me try one for about 20 minutes. That was enough to convince me that it was the solution to the issues I was having so I bought one. I got to really put it through its paces over the three days shooting the Body Arts Rocks Conference and it really worked out great. You do have to position to belt carefully with your jeans so that once you add the 2kg camera to it, you do not feel like your pants are going to fall down. My wife expressed the concern that having a 2kg weight on one side of the body would cause issues with my back, but I actually did not encounter any such issues over the 3 days. 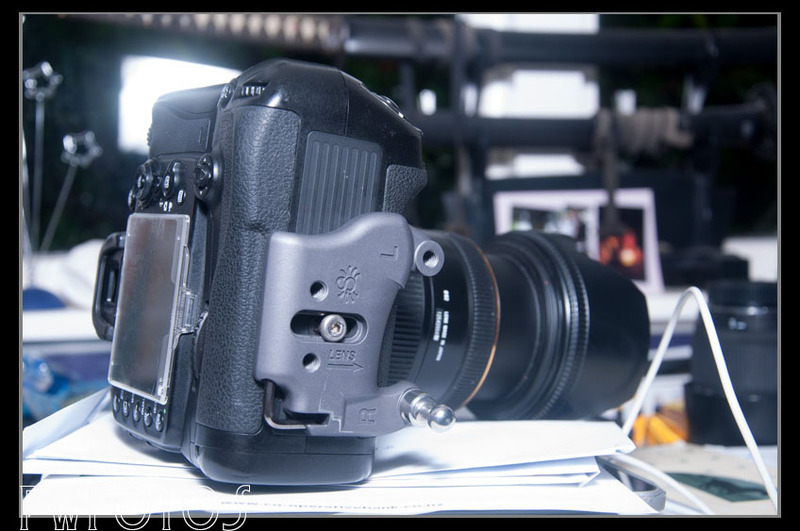 Now I will admit that at $199 it is not a cheap items but it enabled me to feel fully in control knowing that the camera was not going to move regardless of how I altered my upper body. They have also fixed the tripod issue as the plate that attaches to the camera has two screw mounts in the bottom so you can attach a quick release plate and still use the holster. If you are looking at a way to manage a camera while out on location then I would strongly recommend that your look at this option.